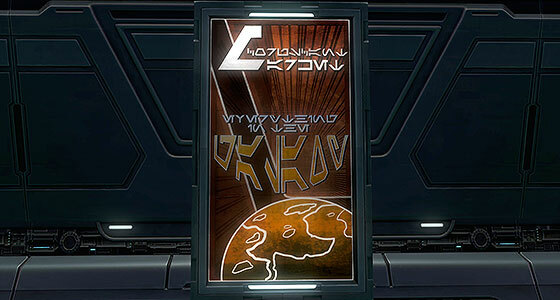 This week, let’s take a look at a sign that contains an infamous spelling error in which the proud capital of the Galactic Republic is misspelled “Coruscnat.” A second error even snuck into the small text at the base of the poster. For historical purposes I recreated the sign with the errors intact. I point this out not to make fun of the mistakes. In my own work as a designer, I can admit that this sort of thing happens all the time, and I don’t even have the excuse of working with an alien language. So how should we chalk this up? Human error? A catastrophic shattering of the players’ suspension of disbelief? 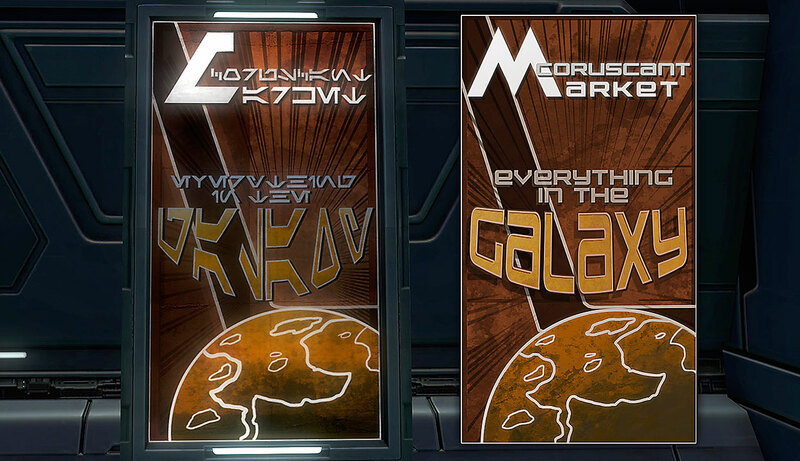 Just another use of fake space letters to which the rules don’t apply? Or can we imagine that a minister at the Republic Bureau of Tourism and Trade fobbed off responsibility for the final review of a new advertising campaign on an intern who both did not speak Basic as a first language and also had hit the spice a little too hard the night before? Well, probably the first, but I can go with the last too. Errors aside, this is a fun poster with a lot going on from the starbursts and speed lines to the bold swathes of color and distressed text. 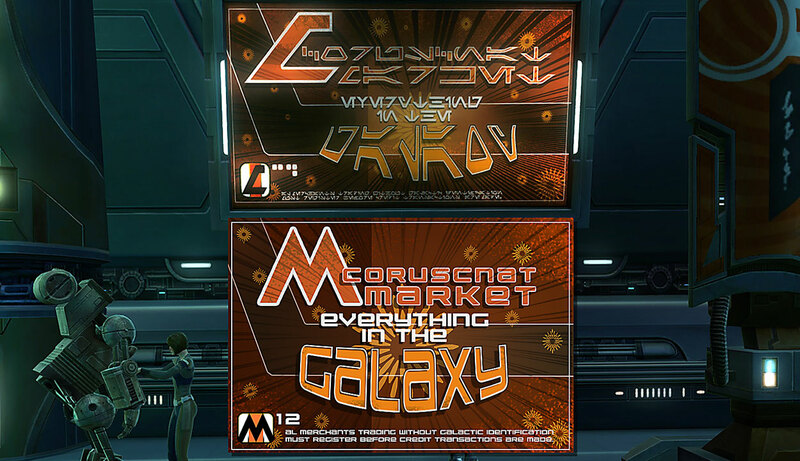 The M logo which I’d previously thought simply applied to a random cosmetics company seems in fact to be the branding used by the Coruscant Market, and is seen on many posters around the Republic’s capital. 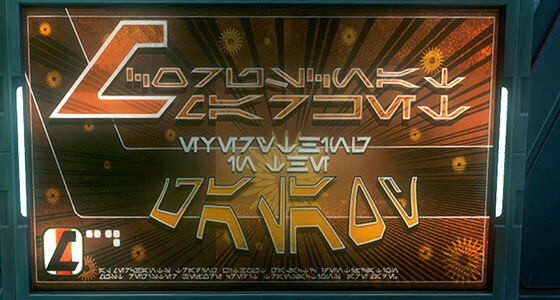 A second, similar poster uses many of the same elements as the first, but in a vertical layout. It does not contain the same spelling mistake, which perhaps proves that the good ol’ intern wasn’t completely asleep at the wheel.